Complying with the PCI Data Security Standard can be expensive, complex and labor intensive. 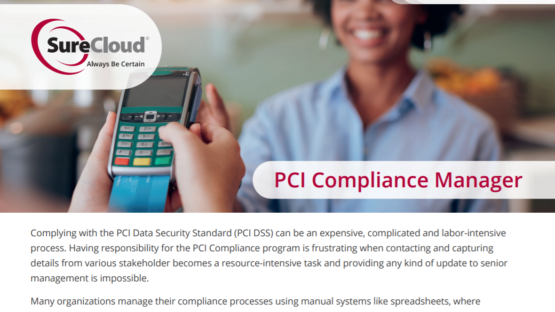 Our Cloud-based PCI compliance application delivers an automated business-as-usual approach that helps reduce your costs, improves risk management and greatly simplifies gaining then sustaining certification. Complying with the PCI Data Security Standard (PCI DSS) can be an expensive, complicated and labor-intensive process. Having responsibility for the compliance program itself is frustrating when contacting and capturing details from various stakeholders. It becomes a resource-intensive task and providing any kind of update to senior management can be complex and time-consuming. Many organizations manage their PCI DSS compliance processes using manual systems like spreadsheets, where centralized control and reporting on compliance activity is often unachievable. SureCloud’s PCI Compliance Management solution for PCI delivers your PCI DSS programs as business-as-usual (BAU) activity, making them more efficient and eﬀective. The cost and eﬀort of compliance is reduced while supporting the recommendations set out in the latest revision of PCI DSS. SureCloud’s PCI Compliance Management solution oﬀers faster certification, reduced audit costs, and reduced risk. Remediation is focused on areas of highest risk and retention of compliance status. Finally, your compliance program and its effectiveness can be easily tracked in real time through live dashboard charts and reports. 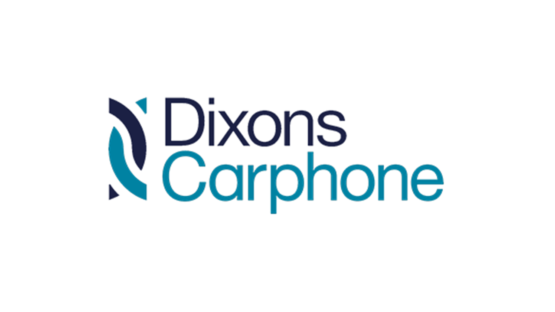 Central control libraries based on industry standards such as ISO27001, SANS Top 20, NIST SP 800-53, and HIPAA with capability to mix and match and add bespoke controls as required. Ability to “attach” one or more operational control (with associated evidence) to a PCI DSS requirement and then re-use the same information for other compliance programs as required – track, monitor and record once. Dashboard-driven view of program status – summary charts for senior management, in-depth charts and tables for operational teams. Automated control monitoring tasks, project tasks and remediation management tasks enable business-as-usual processes to be implemented with ease, resulting in efficiency gains and ability to report on incremental improvements in program status. Includes built-in SureCloud® Vulnerability Management (PCI ASV accredited), which combines management and reporting from manual penetration test results and automated vulnerability scanning data from third party sources. Can integrate external data sources such as anti-virus or patch management status information gives for a holistic view of risk.